Christmas is just around the corner. And we know that sometimes it can be hard to choose a gift for your significant other. You might pick one of these wonderful perfume set suggestions. When we were looking at perfume set options, what got our attention was Calvin Klein Downtown perfume set. It balances feminine woods and a soft floral scent to create a modern fragrance with a unique signature and an unexpected edge. Downtown aims at younger women, who prefer sweet fragrances. The perfume opens with notes of Italian lemon, bergamot, Tunisian neroli, green pear and aquatic plum. The heart incorporates gentle gardenia petals, pink pepper and violet leaves. The base is cedar from Texas, incense, vetiver and velvety musk. The perfume set includes 50ml Eau de Toilette and a body lotion. 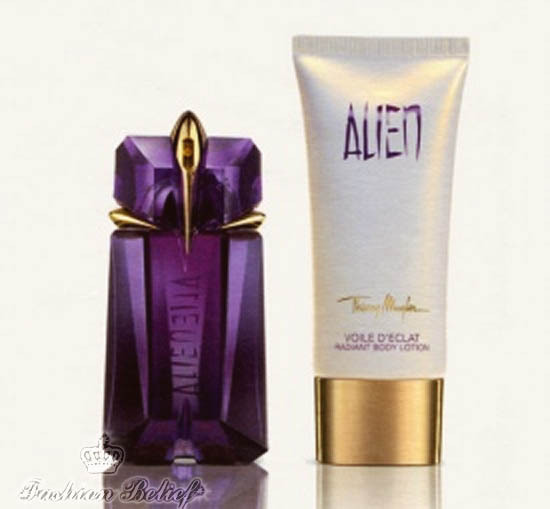 Another perfume set, which deserves attention, is Thierry Mugler Alien perfume set. It is inspired by an amethyst crystal and symbolizes serenity. The top notes of Alien bring mandarin essences, which tingle and wrap the aura like sunlight. Bitter accords of citruses’ skin improve the luminousness and freshness of the composition. The heart is dominated by Moroccan jasmine with intensive notes of white flowers. The base is composed of white amber, which adds a modern nuance, mixed with Cashmeran accords, leaving a seductive and sensual trace on the skin. The perfume set includes a 30ml refillable bottle and a body lotion. 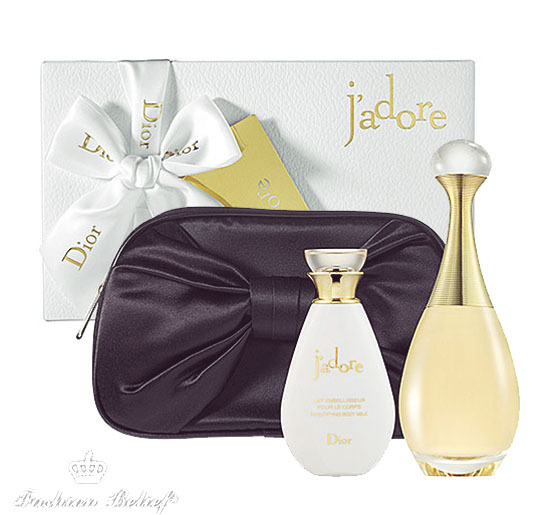 The last perfume set, we would like to bring to your attention, is Dior J’adore perfume set. This is a glamorous modern fragrance, which has become incredibly popular. J’adore is a luminous fragrance. Its opulent, golden scent shimmers on the skin like sunbeams. It’s sweet, but balmy, slightly sharp floral with fresh mandarin in the top, jasmine, plum, orchid and rose in the heart, and amaranth, musk and blackberry in the trail. The perfume set includes 50ml Eau de Parfum and 50ml Beautifying body milk. A perfume set is a great gift suggestion for your girlfriend. If you don’t like our suggestions, you can find another perfume set to make her happy. You can share with us what are your favorite fragrances.